36 pieces 1 lb. 2 ozs. 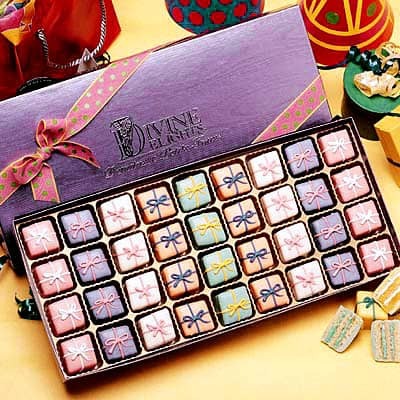 Compliment any occasion with this delightful collection of 36 dainty bite-size layer cakes, decorated as fancifully wrapped gift packages. For your enjoyment, this assortment includes: Raspberry, Orange, Pineapple, Strawberry, Truffle and Lime.